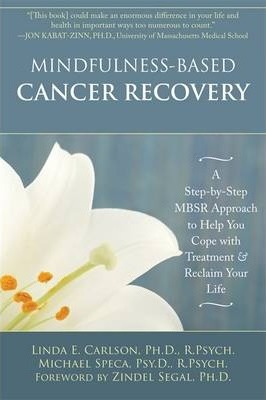 This book is comprehensive and targets mindfulness for the cancer population. For health professionals it provides the facts based on current research. It is an easy to read book and the tools within its covers can be used by not only the client, who is undergoing cancer management, but are useful skills for health professionals. 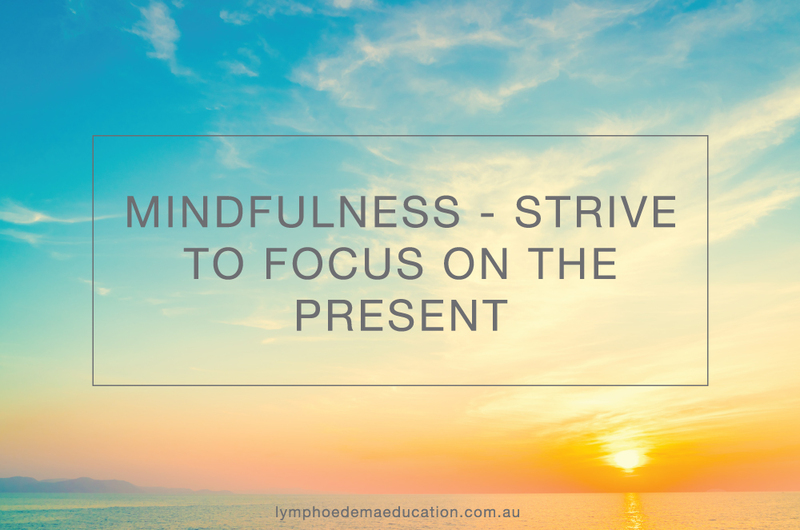 Chapter 1 – What is mindfulness? Often we worry about something that has happened in the past or perhaps what may happen in the future. Whilst doing this we can miss out on what is happening now. Everything happens in the present so we need to make sure we live fully in the present. This is the basis of mindfulness. A poignant quote in the book by Mark Twain is “My life has been a series of tragedies; most of them never happened.” This can easily happen when we don’t live in the present. The authors of the book describe how Jon Kabat-Zinn, the founder of MBCR, in his sessions, would cover up the wall clock with a sign that read NOW. 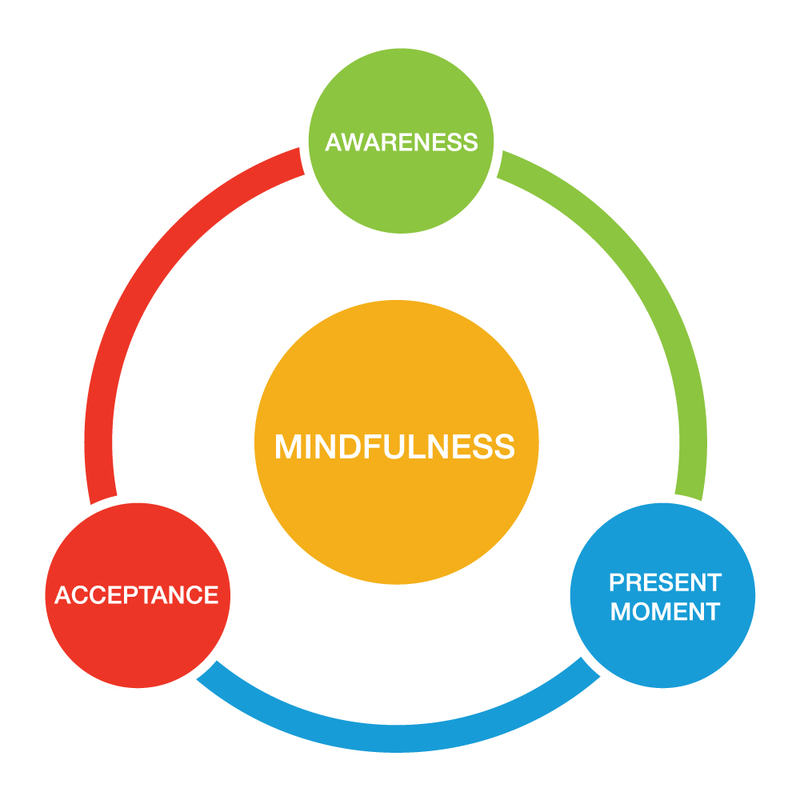 Mindfulness is a way of being aware of the present in a non-judgmental, open, accepting and curious way. Mindfulness and meditation go hand in hand and have their roots in both yoga and Buddhism. This book suggests to the reader to not just accept what is written within it but rather discover the outcomes via experience. Mindfulness-Based Cancer Recovery (MBCR) versus Supportive Expressive Group Therapy (SET) for distressed breast cancer survivors: evaluating mindfulness and social support as mediators. The effects of prolonged stress. Recognising your stress symptoms. This includes a self-assessment tool and divides the symptoms into categories; physical, behavioural, emotional, cognitive, spiritual and relational. They suggest it’s useful for all of us to be aware of our patterns of stress reacting. Where does stress come from? It reminds us that stress comes from within us. Whether it shows itself depends on the way the individual interprets the problem. So it’s important for us to recognise the stress reactions and then realise that we have a choice on how we respond to that reaction. This is where mindfulness is the key. If you are aware of your reaction to stress in the present moment you then have the opportunity to change them. If you become aware of patterns of ways you react to stress you have the opportunity to side step them. Having a greater awareness in the present moment can give us an opportunity not to react and make things worse. A review of the current research shows that there is no clear evidence that stress can cause cancer. There is growing evidence in the area of stress and cancer survival. This will depend if the situation is controllable or uncontrollable. If its controllable the best approach is problem focused coping. If the situation is uncontrollable then emotion- focused coping is the best where you deal with the stress that the situation produces. The next section of the book is about the various meditation and yoga techniques that can be used. Before the book goes into detail about these techniques a good description of the two types of mindfulness is provided. Big M refers to the individual as part of the world around them. It spans every moment of the individuals life. Little m is about setting aside specific chunks of time to practice mindfulness as it’s a skill that you get better with if you practice. It’s impossible to achieve Big M without regular practice of little m.
To get started you need to consider intention, attention and attitude. This is based on the research by Shapiro and Carlson (2006). Intention is all about why you want to do meditation, people generally get out of meditation what they intend to and this can change over time. Initially it may be used to cope with treatment side effects such as tension but later it may be used when trying to achieve goals on the road to recovery. It’s a road rather than a final destination. It’s your motivation to do meditation. It’s important to recognise the intention before starting meditation. Attention is the next step as you need to pay attention for anything to happen. Nonjudgment and stepping back from thoughts that are judging the experience. “Things are neither good nor bad but simple the way they are”. Patience that you accept that things take time to unfold and not try and hurry things. Beginner’s mind: Look at the moment as if you were seeing it for the very first time. This will assist with avoiding expectations and enable a richer experience. Trust in yourself and your own intuition. Nonstriving: There is no goal. “By truly letting go of striving toward a goal or outcome will you potentially reach that outcome”. Acceptance by seeing things as they actually are whether you like it or not. Letting go is fundamental to mindfulness. In relation to the client with cancer it may be about accepting a diagnosis, it doesn’t mean they have to like having cancer but they need to let it be and then they can get on with the journey to recovery. 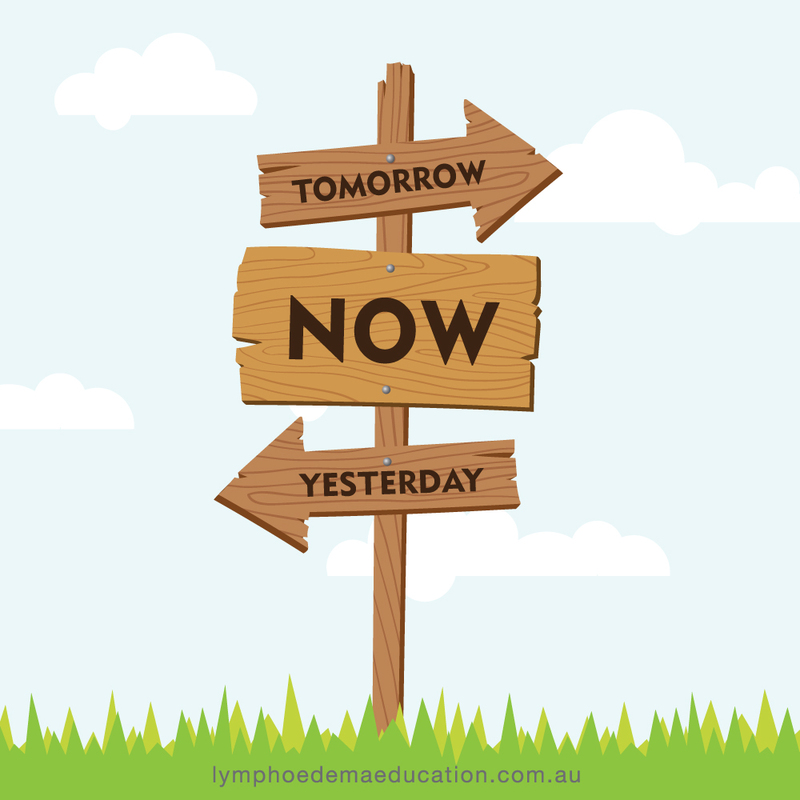 This can be translated to a person that has lymphoedema. Rather than holding onto what they can’t do in their mind if they let go they may be more open to new possibilities. A number of techniques are described. For the individual practicing, it may be useful for them to have someone tape the transcript so they only have to listen to the instructions. Mindfully eating a raison. This a great way to start the journey of meditation. It’s all about experiencing eating a raison using all your senses from sight, touch between your fingers, smell, hearing, touch in your mouth etc. until feeling it go down your throat. Try it. It’s a very interesting experience! Mindful breathing. As health professionals this is the one that we are probably very familiar with. Body scan. This isn’t utilised enough by health professionals and can be effective in rehabilitation. Sitting meditation. This can be used anywhere. This section also dedicates a section to dealing with stress responses by becoming less reactive and more responsive. There is a whole section on different yoga poses. It does begin by talking about safety and progression. The exercises progress from mat poses to standing poses. As a physiotherapist I feel there is room for the individual to do some of these poses incorrectly. They do have diagrams and descriptions on how to do them but needed to expand and describe the subtle movements they shouldn’t do. This section is best done under the guidance of a yoga instructor or physiotherapist. They also don’t discuss why you might NOT do certain poses eg due to lymphoedema. That said it does mention that it is helpful to have the guidance of an experienced teacher. This chapter looks at various breathing techniques and how you can utilise them for particular actions. If you consider that the in breath is to increase your energy level and the outbreath to provide relaxation the various breathing forms can be utilised in various situations. There is the relaxing triangle breathing or the invigorating triangle breathing and it’s all about when you pause the breathing. If you pause the breathing after the outbreath it’s relaxing and if it’s after the in breath it’s invigorating. There is even alternate nostril breathing. Read about this in the book to experience the effects. This is a worthwhile book for both the health professional and the person undergoing cancer management. It is available online from the Book Depository for A$19.86 which has free shipping. New Year – New Look How can we help our clients stay on track with self-management?